In 2016, the NAM hosted a series of meetings, which was sponsored by the Patient-Centered Outcomes Research Institute, with support from NAM’s Executive Leadership Network. 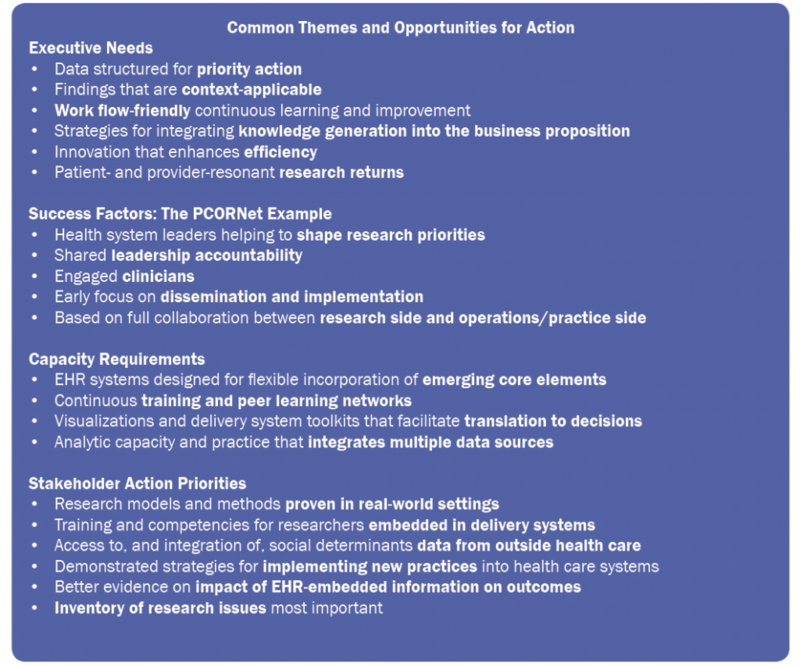 The series underscored the importance of partnerships between researchers and health system leadership and considered opportunities to build institutional capacity, cross-institutional synergy, and system-wide learning. During these meetings, health system executives, researchers, and others discussed building infrastructure that simultaneously facilitates care delivery, care improvement and evidence development. The vision is a digital system-wide progress toward continuous and seamless learning and improvement throughout health and health care. 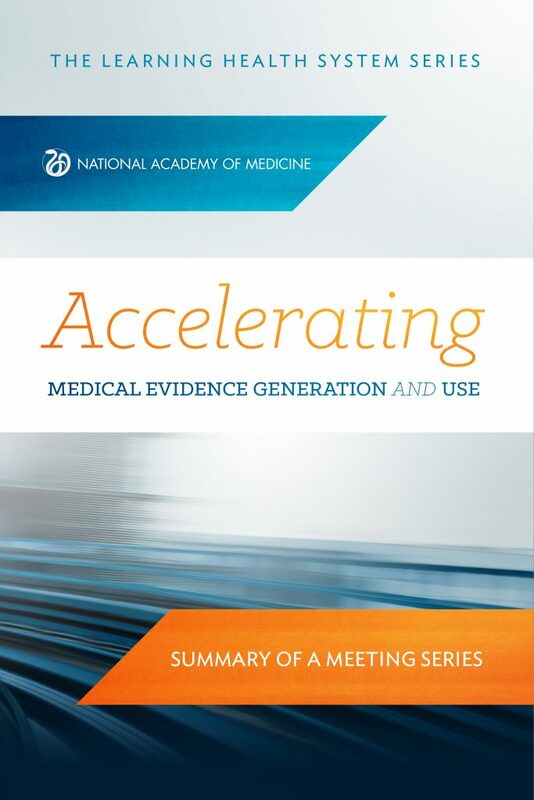 How can evidence development be accelerated, given current knowledge and resources? What might that mean for better outcomes for patients and greater efficiency in health care? What system and culture changes are required to generate evidence from the care experience? How much progress has been made in preparing the field for the paradigm shift? What are the hallmarks of successful partnerships among care executives and research leaders? What are the priorities in advancing executive leadership to the next level for continuously learning health and health care?